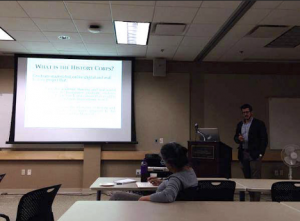 During my first semester as a Ph.D. student at the University of Iowa, I have had the privilege of working with History Corps. As part of my assignment for the semester, I reviewed primary source documents on the Ioway previously copied at the National Achieves. Having a limited knowledge of the Ioway and their history, I had no clue what I might find in the records. My field of research focuses on African Americans in Iowa and the Midwest. Imagine my surprise when I discovered while reviewing these documents, information relevant to my research. The first records that I began examining consisted of correspondence letters concerning the hiring of individuals by the Ioway Subagency of Indian Affairs. One letter, in particular, caught my eye. It was a letter written April 22, 1834, by William Clark, Superintendent of Indian Affairs to Elbert Herring Commissioner of Indian Affairs, from Washington City. The letter discussed General Hughes’, subagent for the Ioway and Sac Indians of the Missouri River, request for renewal of the employment of “Henry Johnson, a slave, as assistant blacksmith to the Ioway.” I could not believe it. Here was a document describing the “employment” of a black slave by the U.S. Government to work as a blacksmith for the Ioway. Such practices by the U.S. Government, particularly the military’s use of slave labor, is nothing unusual for the time. In fact, the U.S. Army often provided stipends to officers stationed at forts in the Northwest Territory to own and maintain slaves. Territorial governors also received such privileges from the U.S. Government. The research on these enslaved people of military officers or government officials still needs further research. Though the Ioway Subagency may have employed Henry Johnson, he remained the property of his owner. Slave owners often rented out their slaves to work for others. As a slave, all income Henry Johnson produced would have been subject to his owner unless there existed some arrangement otherwise between slave and master. In another document I reviewed, I found the fascinating story of a former slave who after purchasing his freedom became an interpreter for the Ioway Subagency. I did not expect to find such interesting documents in the records I reviewed that pertained to my field of research. Such accounts mingled in a few documents, demonstrate the variety present in the primary sources the History Corps is reviewing and the wealth of knowledge still untapped within such materials. Dwain Coleman is a PhD student in the Department of History at the University of Iowa. Prior to coming to the University of Iowa he completed a master’s degree in history at Iowa State University. His Thesis, “Still in the fight: The struggle for community in the upper Midwest for African American Civil War Veterans”, examines how African American veterans and their families after the Civil War used the political capital of their service to establish space in the community of Newton, Iowa. His historical interests include studying 19th Century African American history and the history of African American community formation in the Midwest. Professor Rand, PhD student Mary Wise, and I visited the Blood Run State Historic Site in July to do some fieldwork with Lance Foster, the Tribal Historic Preservation Officer of the Iowa Tribe of Kansas and Nebraska, and to learn about a plan for the area’s proposed development into a state park. We started our day with a tour of the Blood Run site on hay racks. We got off the racks once and stood in the knee-high grass. The land all around us was shifting and alive. Someone nearby pointed out that there were mounds in the field to our right, covered in restored prairie, and mounds to the field to our left, covered in industrially farmed corn. The contrast was striking and left me with a tangle of feelings. I felt humbled and included, wrapped as another living creature in a landscape that has held so many. I also felt wary. As a city kid who doesn’t know the first thing about her food comes from, I tend to look at all farming and think “good!” But I’m also someone learning to be a historian, and so it is clear that planting a field over Native sacred sites vanish Native lives and histories. Standing in the fact that all-American farms erase Native histories, I was uncomfortable and sad. After the tour we went to a meeting about the proposed plan attended by the plan’s designers, Native representatives, and local landowners. Though the landowners supported historic preservation and were willing to have individual Native people conduct ceremonies on public and possibly lands, the idea of an expanded state park made them angry. They worried any new opportunities it created would erase their experiences, livelihoods, and histories. There were many issues at play in the room, but in terms of historical narrative, the landowners’ worries came down to a juxtaposition of “our” history–the history of white settlement–with “their” history–the history of Native land use. They did not seem to see Native history as invalid but rather as fundamentally separate from their experiences with the land. One woman asked with real confusion, “How is the spring on Mrs.—’s farm sacred to the Indians?” The answer, of course, is that Native people continue their sacred traditions today, but the question implies the widespread untruth that Native cultures have vanished. The question is also an example of the sorts of history-wars skirmishes that occur internally and between individuals, rather than the kind that play out on the national stage. Discomfort with the idea that one group’s history might conflict with another’s was the essence of the woman’s question: how can Native history share space with hers without her history becoming less valuable? My discomfort standing in the field came from similar narratives I’ve learned about ranking the value of people’s pasts. Fortunately for both of us, it is hard but possible work to dismantle these narratives. We can learn treat another’s history as seriously as we treat our own. Sophie Croll (Knox College, 2016) is our intern. She spent her summer traveling across the Midwest with us and will join us again this spring. In response to the problematic representations of African people in popular discourse, I started the Iowa-Africa project last fall to illustrate the diverse experiences of African people in the United States and on the continent by documenting the experiences of Africans currently residing in Iowa. As part of this project, I recently conducted interviews with a man from Kenya and a young man from Liberia. Through these interviews, I learned a great deal about the men’s countries of origin, their personal life stories, and their resettlement process in the United States. The interviews also gave me important new perspectives on oral history methodologies. Specifically, they allowed me to see some of the pitfalls of conducting extensive pre-interviews. Pre-interviews can be a great way to build rapport with the interviewee and get an understanding of the major themes that will be addressed in the recorded interview. However, depending on how they are done, pre-interviews can sometimes negatively impact the quality of the formal recorded interview. In my pre-interview with the gentlemen from Kenya, he gave me a truly captivating account of his life back in Kenya and his resettlement process in the United States. Yet, in the recorded interview, I noticed that his story lacked the same depth and nuance of the first account. There are a couple of reasons why this may have happened. The first has to do with the fact that I did not adequately explain the way the interview was going to be disseminated in the pre-interview. After learning that the interview was going to be publically accessible, the interviewee informed me that he wanted to withhold a particular story he had shared with me in the pre-interview because he felt uncomfortable sharing it with the public. This is a completely reasonable request and in the formal interview I made sure to avoid questions that would direct the discussion to that particular topic. Aside from this particular story, I also noticed that I had to work harder to direct questions in a way that would capture the nuances and intricacies of our first conversation. After discussing this experience with a senior oral historian, I realized that this may have been a consequence of the fact that I had conducted a detailed pre-interview with him prior to the recorded interview. Naturally, when people share a story for the first time, they tell it with the assumption that the listener is unfamiliar with the details. Accordingly, the story is told with the most detail possible. In the second telling of the story (to the same person), however, the interviewee is less likely to spend time on the minor details because they know the listener has already heard it. This means that some of the details in the first telling of the story may be marginalized in the second retelling. In some cases, the interviewee may add details that they did not remember during the original interview but, in my experience, when I ask interviewees to retell a story they have told me before, they are much more likely to omit details than they are to add them. For survey styles of interviewing, where the interviewer has a specific set of questions they want answered, this may not always be much of a problem. For more comprehensive oral histories, however, the details are necessary and worth preserving. Therefore, I recommend that interviewers avoid doing detailed pre-interviews. Instead, the pre-interview should be an opportunity for the interviewer to make in-person contact with the interviewee to establish rapport and get a basic overview of their story. The detailed questions, however, should be saved for the recorded interview in order to capture the most detailed story possible. After a thought-provoking conversation about public engagement at the University of Iowa’s WorldCanvass “Taking it to the Streets: Engagement and the Academy” event tonight, Heather Wacha, Professor Jacki Rand and I retired to a local restaurant to gather our thoughts. Heather and Professor Jacki Rand had just finished talking about History Corps and public engagement. I attended as an audience member. At dinner, our discussion turned to our collective takeaways, and we were surprised to realize that the timeless saying, “Great minds think alike” really holds true! Tonight’s event had two concrete takeaways for History Corps members. A second take-away shines the light on how public engagement provides an opportunity to use experimental methodologies and approaches, shaping projects as they unfold and not dismissing unforeseen possibilities as they arise. However scary taking these methods on might be, and we all learned about the challenges of these collaborations from Dr. Craig Just, Kate Kedley, and Hector Efren Flores, the feeling of worth when all partners benefit from the outcomes outweighs the challenges of collaborative work. 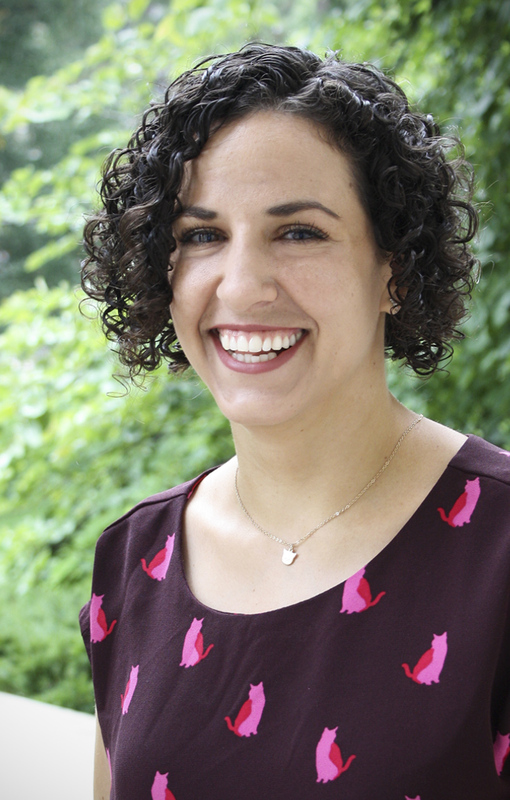 For Jacki Rand, publicly-engaged scholarship has helped her rethink the meaning of knowledge production in an innovative way. The concept of knowledge production – as opposed to the salvaging of indigenous history, which has been a traditional approach – can be turned around when public partners contribute to the generating of new knowledge. History Corps members are embracing this methodology on the new Iowa Native Spaces project. Tonight’s event reminded Heather, Professor Rand, and me how important and how rewarding publicly engaged scholarship can be! We look forward to sharing more as we continue to blog about our work throughout the rest of the year! Visit the WorldCanvass website to learn more about this program and to learn when they are recording next! Click through to see a larger version of these webcomics! Laurel Sanders is a Ph.D. student in the History program. She has a Master’s degree in Public History from Appalachian State University and has some past experience in oral history. She also worked as an historical interpreter at Grand Portage National Monument in Minnesota. She comes from the Appalachian Mountains in North Carolina and is happy to be exploring new histories here in Iowa with History Corps. Yeah, it does! Aside from the theoretical literature that we discussed in Professor Rand’s public history course, Daniel Cohen and Roy Rosenzweig’s online guide provided some technical insights on “ building audience.” I particularly found their advice on the importance of identifying community and being flexible with scope helpful. In principle, History Corps continues to strive to engage a public audience. But our social media has consistently refined our approach to “audience” in practice. Initially, our Facebook posts focused on “History Corps” organization updates. But we noticed this resulted in too narrow of a network of supportive faculty and students within the department. In order to re-focus our scope, I collaborated with my teammates to design a model based on three categories: “History Corps,” “Public History,” and “Iowa.” We decided that posts need to fit within at least 2/3 of these categories. One of my favorite words: collaboration. History Corps embodies an active and conscious effort towards that ideal. My colleague, Mary Wise, encapsulated our shared values of collaboration best through her History Corps @UIowa Prezi. Indeed, my experience on the social media team was no exception to this approach. My teammate, Danielle Hoskins and I have established a working model for social media that includes active experimentation and reflection. Danielle and I meet bi-weekly to discuss social media strategies, stats, and revisions. We have framed and improved many of the posts that we have made. Next semester, we will build from our previous notes. I have also learned that the reach of our posts is facilitated by participation and support of our teammates and friends. Naturally, the more “likes” and “reposts” in our Facebook comments, the more likely they will remain at the top of newsfeeds and therefore be seen. I am a medievalist. I study the lives of twelfth- and thirteenth-century women. How many times have I wished I could interview these women and ask them questions about their lives, their roles as women, their relationships, and what they saw as their place within the social landscape of northern France. Alas, these women are long dead, so I must look for their voices in the written record. Some days I find myself deep in a twelfth-century document and completely removed from the world around me. While these moments are quite wonderful, I realize that not everyone shares my euphoria. Many people view the Middle Ages as a long lost time that has little relevance to the present day. Of course! And there has been no looking back. Through my participation in History Corps’s projects I have come to appreciate how being a historian transfers across chronologies and geographies. Last April when I was casually asked to conduct some oral interviews at the annual Powwow, I accepted the task as if it were a perfectly reasonable request. But wait… I had no idea how to conduct an oral interview, especially with a live person! This was new territory for me and it needed some deep breathing! I decided to handle this out-of-my-comfort-zone feeling by imagining that I was heading off to interview one of the medieval women I research. It was an amazing experience. The interviews went smoothly and felt surprisingly natural. I really enjoyed spending time with the Powwow participants and organizers talking about their experiences and thoughts of past and present Powwows. I felt very moved since by recording their voices and stories we were not only documenting an important part of twenty-first-century American history, we were making history, and making it accessible to anyone who might want to visit the History Corps website today or ten years from now. As strange at it may seem, the oral interviews I conducted that day made me feel that much closer to the women I study. The history of History Corps is a short one as the group has been in existence for less than a decade. My affiliation with the project goes back three years when graduate students asked me to serve as the faculty advisor despite the fact that my public humanities credentials were quite early in their formation. Nevertheless, I was happy to comply as it seemed like a great opportunity to push myself further into public history and digital history. On a whim I agreed to teach the first ever graduate course in public history offered in the department, Graduate Readings in Public History, for the spring 2013 semester. While terrifying on some levels, the course was going well because of the students’ enthusiasm for a new project. And indeed that course pushed me and the students. The “2008 Flood” project, on which thirteen history graduate students toiled, included an exhibit in an Iowa City business window, the collection of oral histories, and the production of a “photographic essay” for the new History Corps website. The “2008 Flood” Project came together at the same time as History Corps was making our first big transition from sharing space on the department’s site to our own WordPress site. That spring semester was our transitional moment. The semester was a blur with students throwing themselves into primary research, identifying subjects for oral history collection, familiarizing themselves with the recording studio and field recording equipment, and learning about audio files, editing, and uploading. We had thrown ourselves into the deep end of the pool in terms of project management, exhibit (online and window) design, technical skills, and collaboration among the students and with community and campus members. In a semester, the students of History Corps, in no small part because of the grad seminar, had made a name for themselves and for the project at the University of Iowa. Immediately, the graduate student members began to question the adequacy of WordPress and a too-long conversation about next steps ensued. Ultimately, the students settled on moving the project to the Omeka platform with which no one in the group was familiar. These were the early, unabashedly adventurous days of History Corps during which students in the group were happy to trust each other for running down information, consulting with new-found friends at the Obermann Center for Advanced Studies and collaborators at the University Library, and sharing everything openly without keeping score amongst themselves. A model of collaboration we still share today. Within a year the transition to Omeka happened. During this year, the graduate students mastered metadata standards, negotiated for archival and server space with the Library, migrated the WordPress site to the Omeka platform, worked endlessly on troubleshooting, and continued to produce content through individual projects. Throughout this period, the students exhibited amazing levels of generosity, dedication to the project, attention to high standards, consideration of ethical questions, and care for each other. This is the project that now exists as History Corps. When I joined History Corps in fall 2013, I was filled with both excitement and trepidation. I was vaguely familiar with the project as three of my colleagues – Noaquia Callahan, Bethany Otremba Heinrich, and Sylvea Hollis – were the first graduate students to work on the project in its infancy. I knew they interviewed faculty about the role of the humanities in Iowa. I was nervous about sitting in front of a microphone and interviewing people I respected. While I was versed in oral histories from my research on historical memory along the U.S.-Mexico border and from my committee work at the University of Iowa, I had never been the person to conduct the interviews and record my voice. Previously as a member of HerStory (an interview series with women on the Iowa campus), I stayed safely behind the camera and did administrative work. But now as a History Corps member I was asked to conduct interviews and present content to the community. At the same time, I was excited. History Corps was an opportunity to leave my books behind for a few hours a week and share the work of the humanities with the community. Now, I am comfortable sitting in front of the microphone and conducting interviews. I’ve moved beyond the image of History Corps as an oral history project to now knowing the importance of it as a digital history experience. I’ve even learned much more about digital platforms and archiving standards than I thought a nineteenth century historian should know. As part of my role in History Corps, I’ve trained new members who join with similar trepidation and guide them towards projects they are enthusiastic about. I’ve participated in workshops to share the methodology of History Corps with the interested public while also learning from other community engagement projects. I relish the moments discussing new project ideas and fixing technical issues with my colleagues. These moments allow me to apply my training in historical methodology to everyday circumstances and present the importance of the humanities to the state of Iowa. I’ve also collaborated with members Mary Wise and Danielle Hoskins to create an exhibit – Documenting Women at Iowa – which will go live in the coming weeks. 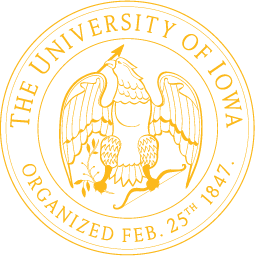 By working with and interviewing the archivists at the Iowa Women’s Archives and faculty on the campus, I’ve learned more about the women of this university who push forward changes and give meaning to the relevance of women’s history. These interviews and stories only show a fraction of the experiences we had as a group. The digital and audio footprints do not encompass moments sitting with faculty and learning their wisdom on navigating academia, hearing stories of sexism and racism, and sharing moments of personal achievements. From 2013 to the present, History Corps has afforded me many opportunities to step outside of my comfort zone, to put my research aside, and to engage with faculty and community members whose paths I did not normally cross. I’ve been able to publicly share the important work of women in Iowa. These skills have strengthened my ability to present my research and provided new avenues to engage the community and widen the audience of historical research. History Corps has reminded me that when I step back into my office to write, I need to make sure my storytelling has a purpose. As this is the goal of History Corps – storytelling with a purpose both for the audience and the members. Katherine Massoth is a Ph.D. Candidate in U.S. Women’s and Gender History and U.S-Mexico Borderlands History. Her research and teaching explore the long nineteenth century (1776-1920) in the U.S. and the role of gender, race, and sexuality along the U.S.-Mexico borderlands and throughout the American West. She is currently at work on her dissertation, “‘That Was Women’s Work’: The Borders of Gender Roles, Cultural Practices, and Ethnic Identity in Arizona and New Mexico, 1846-1941.” Her dissertation reassess the impact of U.S. annexation of Arizona and New Mexico in 1848 by recovering the imposition of and resistance to the new national border and identities among American Indian, Euro-American and Mexican-American women. A couple of history professors founded the History Corps under a different name, the “UI Humanities Story Corps” (HSC) in 2011. In its earliest iteration, the project focused on giving graduate students experience performing, editing, and posting oral histories online. Its content emphasized interviewing UI faculty about recent scholarship and publicly-engaged projects. The first website was a stark but excellent foundation for what has since become a useful teaching tool and an incubator for collaborative community projects and digital scholarship. When I requested an assignment to the HSC in the spring of 2013, I didn’t really know what the project was or how it worked. I only knew that I had an interest in public history, and that HSC was the only formal thing our department offered. As Paul Mokrzycki Renfro, my HSC colleague that semester, and I began to delve into the project, we realized an opportunity to make it a venue for public and digital projects of all kinds. We sought advice from the Pentacrest Museums, the Iowa City Public Library, the Obermann Center for Advanced Studies, and the Digital Studio for the Public Arts and Humanities. All gave tremendous and enthusiastic support, and the Studio helped us learn the fundamentals of WordPress, a popular web blogging platform, and offered us space on their newly-minted server. We next decided to move the project to a WordPress page so we could add photographs and text to accompany oral interviews as needed. We also changed the name to “History Corps,” because a couple of our early partners said it was a bit of a mouthful and thought it sounded too much like we were affiliated with the “Story Corps,” a New York-based nonprofit with an oral history program that plays frequently on NPR. With that, History Corps as we now know it was born. I stayed on board and tried to nurture the project for more than two years. In that time, we recruited several excellent graduate students and an energetic faculty mentor. Together, we have collaborated with graduate and undergraduate classes and migrated to a new—and even more dynamic—web platform called Omeka. A few current graduate students even say they applied to Iowa after finding History Corps online. And History Corps is now engaged in a number of collaborative partnerships on long-term projects with communities across Iowa and the Midwest, most recently a digital mapping project with the Ioway and Meskwaki Nations. Looking back, I don’t know if I ever really thought we’d make it this far. But I’m glad we did and look forward to the future of digital and public history at UI. 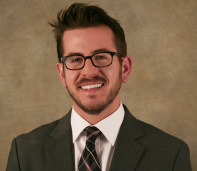 Eric Zimmer is a doctoral candidate in the Department of History at the University of Iowa. After college, he spent a year as a journalist, researcher, and public historian. He also spent six months working under the tribal liaison in the Office of U.S. Senator Tim Johnson in western South Dakota. Eric’s historical interests focus on the twentieth century United States, especially relating to Native Americans, politics, and federal/state Indian policy. His research examines the relationship between land ownership, sovereignty, and self-governance among the Meskwaki Tribe here in Iowa. Deeply interested in public history, Eric joined the History Corps during the Spring semester, 2013.